Giardini di Mirò will kick off their club tour on the 18th of January at the Santeria Social Club in Milan. Special guest that night will be Sophia's Robin Proper-Sheppard, who will open the night with a short acoustic set and will also be joining Giardini di Mirò for 'Hold On', the song Robin co-wrote with the band on their latest album Different Times. More details in this Facebook event. Giardini di Mirò, a post-rock band from Italy, have just released the first track from their upcoming album 'Different Times'. It's called 'Hold On' and was made in collaboration with Sophia's Robin Proper-Sheppard. Hold On is an enveloping and disruptive ballad, co-written and sung by Proper-Sheppard. Check it out below. 'Different Times' will be released November 30 on 42 Records. It's available on cd and limited (300 copies) white vinyl. Sophia are hitting the road for 3 concerts in Belgium and Germany. If you're not near one of these towns, do stay tuned for more Sophia later this year: new recordings, vinyl reissues and a guest appearance from Robin on another band's album! Ladies and gentleman, we are very very proud to announce that ‘As We Make Our Way - The Live Recordings’ is now available for worldwide download or streaming through your preferred music outlet. We went through over 45 concerts (all concerts were recorded in full multi-track) song by song and chose what we felt best represented each song. What you get is also essentially exactly what you would get if you came to one of the “As We Make Our Way” shows: the album played non-stop from start to finish and then a vast selection of classics by (what many call) Sophia v2.0. Some of these songs have changed rather dramatically and if you’ve only ever heard the album versions you might be quite surprised. The limited pre-order of the vinyl and CD’s has now sold out but the remainder will available on tour. If any are left over after the tour, we’ll send out a little note to the mailing list and let you know there. We'd like to remind you that the European tour starts today with a sold-out Luxemburg gig. Sophia will be taking a break after these shows as Robin will start work on the next Sophia album. We hope to see you on the road! We're happy to annouce that Sophia will release a triple vinyl - or triple cd, whatever floats your boat - live album this Fall: SOPHIA v2.0 THE LIVE RECORDINGS. The current v2.0 line-up of the band is on fire, so this was the right moment to record a live album. The album will contain 25 tracks recorded during the 'As We Make Our Way (Unknown Harbours)' tour. The first disc will be a live rendition of the full 'As We Make Our Way', while the two other discs will venture through the rest of the Sophia back catalogue. Sophia have been added to the line-up of the 2017 Cactus Festival in Bruges, Belgium. They will play in the beautiful Minnewaterpark on Sunday the 9th of July. Other bands from the Sunday line-up are Goose, Explosions In The Sky and Kevin Morby. More names will follow soon. In other news: on the Sophia Bandcamp you can now find a free download of the first studio recording of 'Bad Man'. 'Bad Man' was originally only available on the 'De Nachten' live album from 2001. This is one of a number of songs the current live band decided to record on a little day-off day-trip to the studio during the Fall 2016 tour. In Robin's words: "One of things that has made this last year so great is the way the new Sophia Collective has managed to continue growing from strength to strength as a band. Our live shows really have gone to another level with this line-up (original drummer Jeff Townsin joined by new bass player Sander Verstraete, Jesse Maes on guitar and Bert Vliegen on keyboards/guitar) and while we’re currently multi-track recording each and every concert (more news on that soon!) I really wanted to let you guys and gals (especially those that can’t make it to any of the shows) have a little taste of what we’re sounding like these days." Sophia are taking 'As We Make Our Way (Unknown Harbours)' back on the road in March. Here's a whole batch of new dates which will bring Sophia to Scandinavia, Belgium, The Netherlands, germany, Switzerland and the UK. And let’s keep our fingers crossed that you will be seeing us in France, this time a little farther afield, in Spring 2017! We promised more dates for the European tour. Well, here's another batch of Italian dates for the beginning of November. Find ticket links in the On Tour section of the site. Four gigs in France and the Netherlands have been added to the upcoming Fall tour. The Heerlen after-party will even have a DJ who named his daughter after the band. Now, that's dedication. On Saturday the 24th of September Robin will play a solo gig at the Reeperbahn Festival in Hamburg, Germany. To make the concert that extra bit special the gig will take place in the baroque settings of the Hauptkirche Sankt Michaelis. Also playing that night at the church is Villagers from Ireland. This will be the only Sophia solo gig before Sophia heads out on a full band European tour at the end of October. More dates for that tour will be announced soon. Ladies and Gentlemen, Sophia 2.0 are happy to announce that we will be continuing our slow, steady and rather noisier than expected march to a town near you this Fall. Tickets for the German leg of the tour are now on sale. Many more shows will follow. After a succesfull club tour, Sophia will be back in October & November for a bigger European tour. The first date has just been announced and goes on sale tomorrow. Sophia will play the Ancienne Belgique in Brussels on October 21st. Presale starts at 11AM on the AB website. 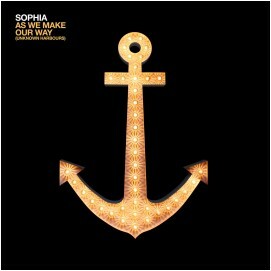 The 6th Sophia studio album 'As We Make Our Way (Unknown Harbours)' is officially out today. 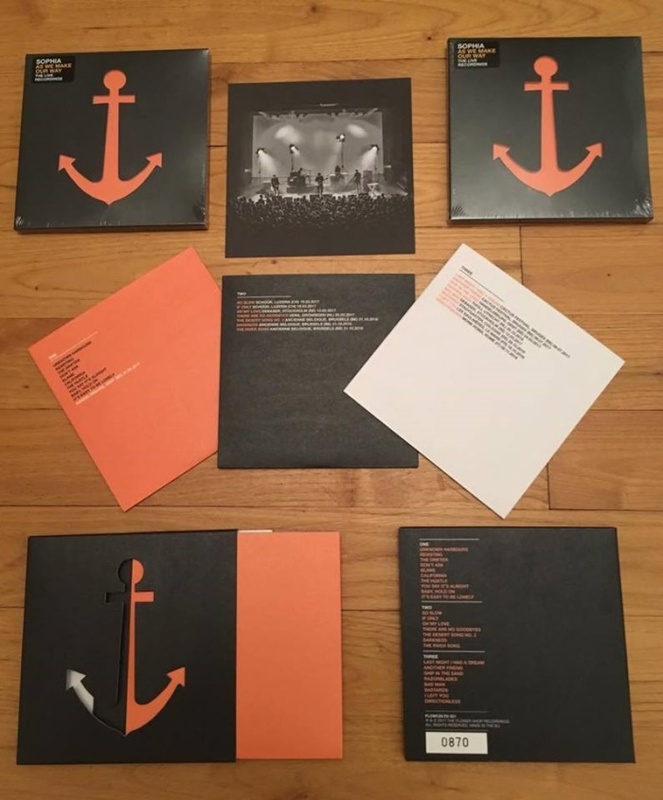 The album is available on CD digipack, 180 gram vinyl and a special limited edition orange vinyl (500 copies). For ordering please go to our site at Music Glue. All sales via Music Glue will now be serviced and shipped worldwide by Remedy Fulfilment. Due to a delay in manufacturing the vinyl, LP's will only be shipped in the first week of May. You will receive an immediate download when ordering the album. Sincere thanks for waiting all these years and we hope you enjoy! Belgium's Pukkelpop festival just anounced a new batch of acts for the upcoming edition. We're glad to announce that Sophia has been added to the 2016 line-up. The band will take the stage on Friday the 19th of August. 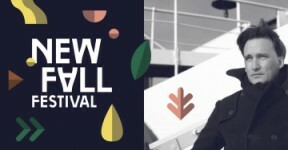 This will be Sophia's 4th gig at Pukkelpop and their first appearance since the legendary 2007 gig with the woodwind section, Malcolm Middleton on guitar ànd Melanie De Biasio on additional vocals. 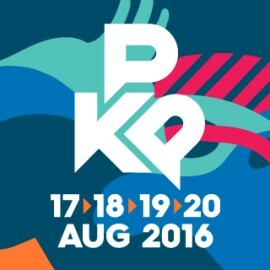 Tickets for Pukkelpop 2016 are already on sale and they're going fast too. Get your hands on them here: www.pukkelpop.be. To celebrate the release of Sophia’s first new album in almost 7 years, Robin Proper-Sheppard invites you to a special album release event. Get your hands on a copy of the new album before the official release date, meet the artist and hear some of the new songs live and acoustic for the first time ever! The release event takes place at 7PM on April 14th at the [CHEZ PIAS] venue in the brand new [PIAS] headquarters in Brussels. The event has a limited capacity so please confirm your attendance here: chezpias@pias.com (update: now sold out!). contributed guitar on the excellent 'Tzar'. We can now introduce you another new song from 'As We Make Our Way (Unknown Harbours)' called 'The Drifter'. Described by Robin as a countrified version of The Cure (remembering one of Robin's all-time favourite albums is The Cure's 'Seventeen Seconds'), 'The Drifter' takes the stripped back purity of Harvest-era Neil Young, layers it with the dark glowing ambiance of a vintage Juno 60 synth (a rumoured favourite of, you guessed it, The Cure) and ties it all together with a reverb-drenched guitar hook that could have come straight from a Morricone soundtrack. Head over to the Sophia Bandcamp to have a listen. And we should remind you to get tickets for the other shows as soon as possible. Berlin and Brussels are sold out and there is only a handful of tickets left in places like Hamburg and Cologne. After a nearly seven year hiatus Robin Proper-Sheppard and his Sophia "Collective" are set to reintroduce themselves back into this lovely world of sadness and sorrow with what could arguably be considered, in the world of Sophia at least, one of their most positive and upbeat numbers ever: 'Resisting'. The song hits the airwaves and the Sophia Bandcamp today. Don't let the absolute avalanche of an intro, all throbbing low-end and ear-splitting shards of noise and glass, fool you. Don't let the opening lines of "We could have cried all day, And yeah some days I suppose we did" lure you into thinking that this is the Sophia we've always known. Because while it is, at the same time it isn't. This is different. Somehow sad. Yet somehow positive too. It's hard to explain but you feel it. Sophia's sixth studio album 'As We Make Our Way (Unknown Harbours)' will be released 15/04/2016 on The Flower Shop Recordings. MP3/WAV, CD and vinyl pre-sales (via iTunes, Bandcamp, Music Glue) start 05/03/2016. Sophia is also very very happy to announce that on 22/04/2016 they will be commencing on their first full-band tour of Europe since 2009. Tickets will available at the links below.